Moobug Solutions, as a business, was formed in August 2011 with the express intent of providing honest web design and hosting services to small businesses like us. We were already using the name Moobug as a personal brand, and the word has a strong personal meaning to us. We ventured forward as a business as the direct result of the passing of a close friend who was also in business providing web design and hosting services to a number of organisations in the arts sector. We offered to take on a few of his key clients, and – as a result of this – formed Moobug Solutions as a business. It was intended that Caroline would – as she was working part time in the charity sector – be the figurehead of the business, and Dave – who was working full-time for a multi-national company – would work in his spare time as and when required. At the time the business was formed, we had worked out our roles and responsibilities within the business, and this was acceptable to us both. As time progressed, our family expanded, so did Caroline’s working hours to the point where she is now working full-time, and has been for a good few years. 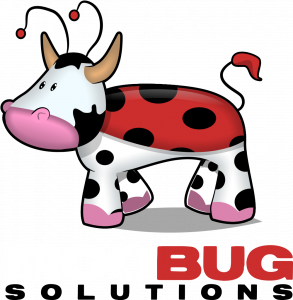 Sadly, this meant that as our combined employment hours increased, our available hours to spend within Moobug decreased. We’re now at the point where we are unable to provide a service of a quality that our clients deserve. It is because of this that we have decided that – regretfully – Moobug Solutions will cease trading as a business on Friday 30 March 2018. We will no longer be able to provide service to paying clients after this time. Don’t worry though, if you were still a customer of ours as of Friday 30 March 2018, we have no intention of leaving you in the lurch. We will work with you to identify an alternative hosting service, and we will ensure that your existing services will be transferred over to your new provider. If we are holding a domain registration on your behalf, we will transfer this over to you also. There will be no further charge from us for any services that we provide, nor for any of our support in transferring services to another provider. Also, the name Moobug will return to being a personal brand for the two of us and our family. We thank you for your understanding in this matter, and we offer our heartfelt apologies that we are not in a position to serve you any longer.